On a warm Saturday evening in October we made our way to Werrington, where we had been invited to ring at a concert in St Philip's Church together with the Cheadle U3A ‘Not Strictly Barbershop’ singers. These are friends of ours, having shared many concerts together. 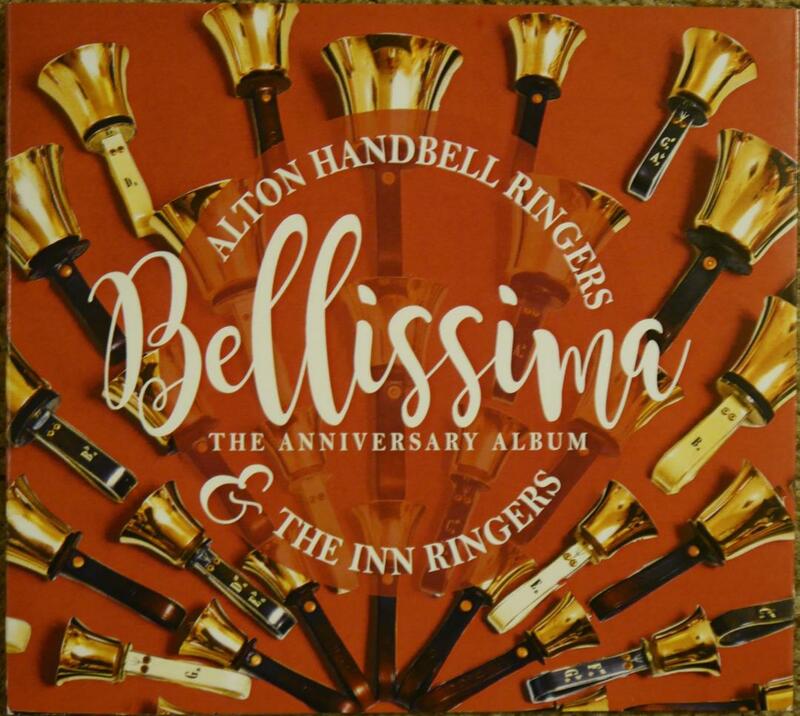 Sarah Williams, their Musical Director, is also a member of Alton Handbell Ringers, so she had a very busy evening! We arrived early, as it takes quite a while to unload the car and set everything in place. Alan's car was laden down with tables, sponge cushions, cloths, bells, chimes, music stands and the many smaller items all needed for a successful performance. You catch the organisers of the event watching in amazement as all these items are carried in. 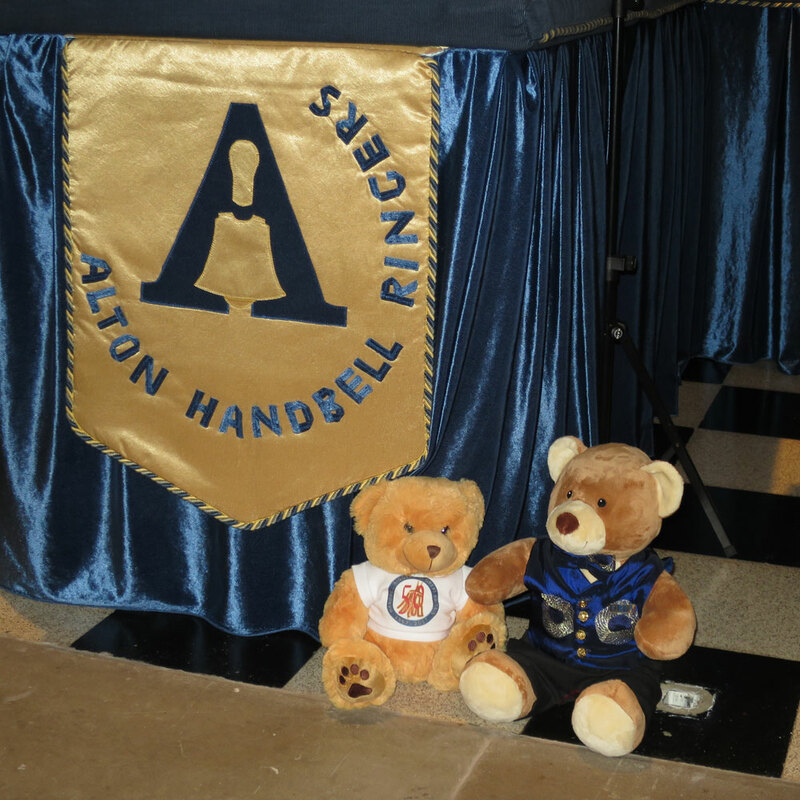 Little Handbells Bear, a visitor from Handbell Ringers of Great Britain, West Midlands Region, met Not Strictly Barbershop Bear at a joint concert in St Philip’s Church, Werrington on Saturday. Little Bear was with us to celebrate HRGB’s 50th Anniversary. A great time was had by both bears, who tucked into delicious cakes in the interval and enjoyed the beautiful music.